› Who is going to the Grand Opening of the Mustang Museum in Charlotte NC? I will be getting there late Wednesday and will be attending the events Thursday through Saturday, heading back to Florida on Sunday. I will have my grabber blue 2011 GT since my 72 Mach is nowhere near being ready for anything. 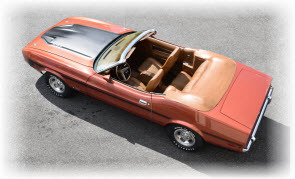 I know David (Carolina_Mountain_Mustangs) will be there in his vert and have his Mach 1 on display in the museum I believe. Also Rackerm will have his newer 2014 vert and mwilson7 will have one of his newer Mustangs. We should all try and get together. I was there today. Some interesting cars some not so. I put my car in today. I will be there for sure look me up. I will have the yellow 73 vert to drive to track and show. 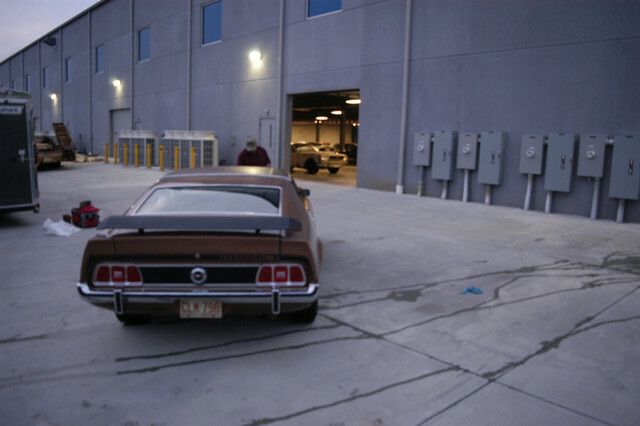 The 73 Mach 1 is in the museum. (04-12-2019, 11:04 PM)Carolina_Mountain_Mustangs Wrote: I was there today. Some interesting cars some not so. I put my car in today. I will be there for sure look me up. I will have the yellow 73 vert to drive to track and show. 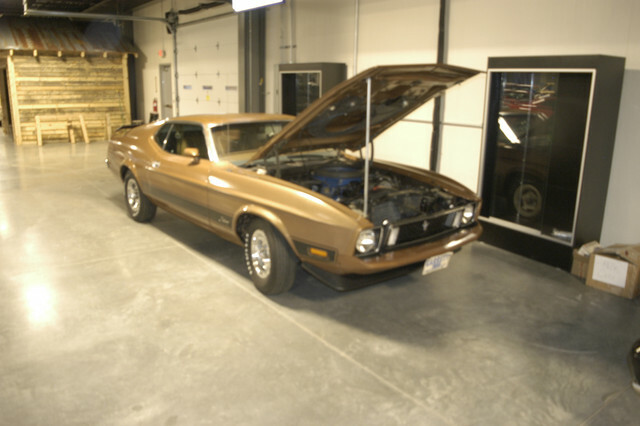 The 73 Mach 1 is in the museum. Here you go. Unloaded it in back put the new Goodyear RWL tires on and drove it in. Had not ran for 37 years until that morning. I am one tired old guy. That is not where it will be going to put in order of year there were 15 more cars to come. The earliest car is 64 1/2 VIN# 000004 black vert that was used in the ride Ford had at the Worlds Fair and then taken back to factory and drive line installed and sold. You can see a white beat up one just inside the door. That is the barn find car. It is VIN# 0000211 you can see the barn behind my car. There is a 71 429 grabber blue there also. They were happy with the car and I will take it easy for a few days and head back down next Tuesday. Looking forward to additional photos. I am sure you had a few back in the day moments flash through your mind while firing it up. Congratulations on making your goals. I will be there Saturday morning and be on the lookout for yall. David, congrats on getting your car in! Great work David and congratulations. I cannot make it this week but will plan to go next weekend and see it. David, The car looks real nice! I lwill be there on Friday and look forward to see you and the car.